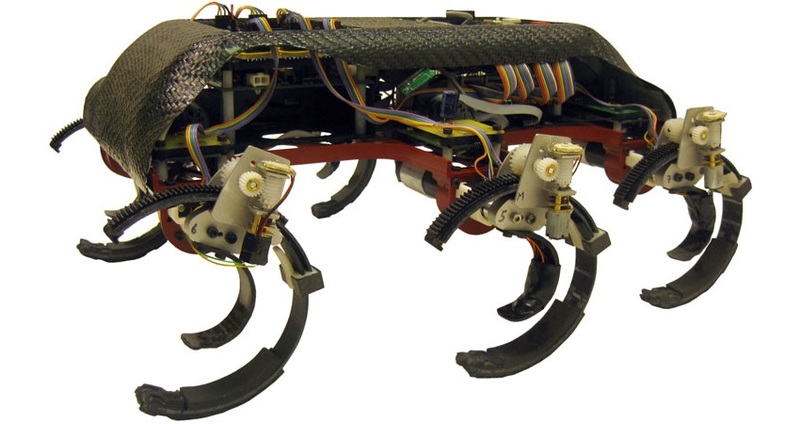 Abstract – Biomechanical studies suggest that animals’ abilities to tune their effective leg compliance in response to changing terrain conditions plays an important role in their agile, robust locomotion. However, despite growing interest in leg compliance within the robotics literature, little experimental work has been reported on tunable passive leg compliance in running machines. 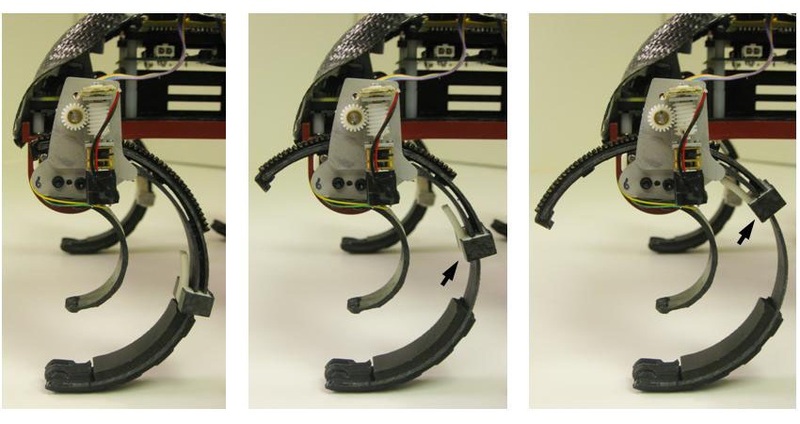 In this paper we present an empirical study into the role of leg compliance using a composite tunable leg design implemented on our dynamic hexapod, EduBot, with gaits optimized for running speed using a range of leg stiffnesses, on two different surface stiffnesses, and with two different payload configurations (0 kg and 0.91 kg). We found that leg stiffness, surface compliance, and payload had a significant impact on the robot’s final optimized speed and efficiency. These results document the value and efficacy of what we believe is the first autonomous dynamic legged robot capable of runtime leg stiffness adjustment.